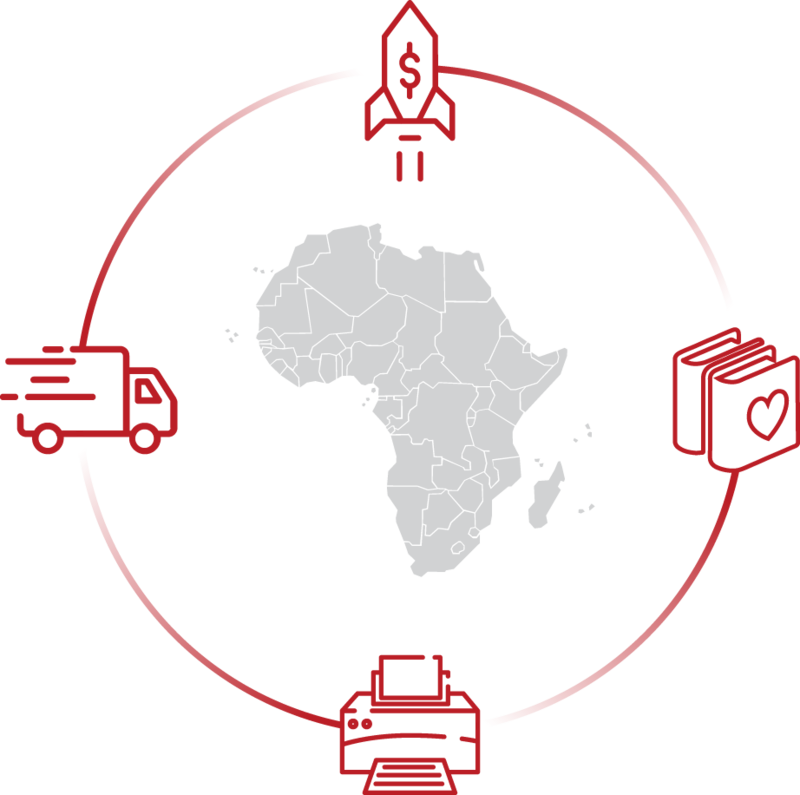 Repro is well entrenched throughout Africa to deliver end-to-end printing and fulfillment solutions. Our focused approach and commitment to supporting educational opportunities in East, West and Southern countries in Africa make us an invaluable and reliable partner for the Ministry of Education, various government bodies, leading publishing companies and other global organisations in the continent. Factor in an impressive project management capability of handling up to one million copies, and we can help you get any printing job done in the most efficient and effective way. Our relationships with leading publishers in 22 African countries are already transforming the landscape of education in Africa. We have produced more than 250 million books for the African market and look forward to growing this number. We work closely with educators in offering our one-stop solution for their comprehensive printing needs -- from planning and producing to fair pricing and delivery at the right time in the right place anywhere in Africa. Our products can now be found in schools throughout the continent, including Nigeria and South Africa. Indian and African publishers looking to explore additional revenue streams will find them with Repro; thanks to our extensive experience and distributed network which can be leveraged into new business opportunities. In partnering with us, growth-focused publishers gain unprecedented access to each other’s markets and the enhanced ability to capitalise on their respective IPRs. With three major print facilities in Mumbai, Chennai and Surat, Repro’s operations are strategically positioned to facilitate your export business toward optimal outcomes. Not only are our FSC®, ISO 14001:2000, ISO 9001:2008 and ISO 27001:2013 certifications in place, but we also lay claim to advantageous tie-ups with major shipping and logistics companies. The result? Swift and timely delivery of goods -- not just to major cities but also to rural parts of the African continent. At Repro, we are proud to be accredited as the leading exporter of print and publishing solutions to 500-plus publishers in 25 countries across the globe, with a production capacity of one million books per day, out of our three major production centres. We are also the leading export company listed on the Bombay Stock Exchange and National Stock Exchange of India Ltd.
Our mission, history, experience and background make us an invaluable partner for both domestic and international publishers.